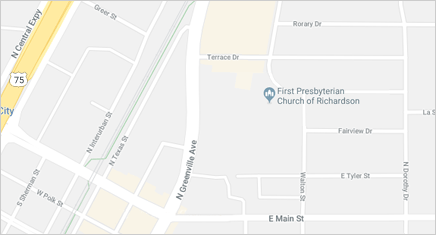 First Presbyterian Church of Richardson is seeking an experienced Administrative Assistant to support the ongoing operation of the church office. Applicants should enjoy meeting the public and be flexible in the face of changing and unpredictable needs; working cooperatively with other staff members is imperative. Appreciation of and practical implementation of confidentiality requirements are essential. Experience working in church administration is desirable, and familiarity with Presbyterian terminology is a plus. The position requires proficiency in Microsoft Office applications (Excel and Word) and the ability to learn ACS software. The position reports to the Head of Staff. We offer a 36-hour work week and paid health care benefits. Applicants should send a letter of interest, detailing background and qualifications by December 1, 2018 to employment@fpcrichardson.org. Maintains data and reports in the ACS system, including visitor or member data (updating church rolls), church calendar, directories, and miscellaneous reporting; assists the Clerk of Session in preparing annual statistical report for Presbytery. Prepares packets for Session meetings; supports clerical and reporting requests of the Session and Ministries. Attends Ministry meetings as required. Provides general administrative support for the church staff and office, such as mail distribution, general receptionist duties, maintenances of office supply and copier needs, preparation of labels for bulk mailings; attends church staff meetings. Prepares badges for ushers and greeters; ensures friendship pads are ready for Sunday morning use (prints and assembles pads); prints Children's Bulletins and places in narthex. Posts weekly attendance and advises pastor and Invitation Ministry of visitors. Coordinates with Facilities Ministry on needed repairs and maintenance; helps direct custodial activities and advises of any set up needs. Works with Session and Facilities Ministry to review insurance requirements. Monitors building security as needed. Purchases office and custodial supplies, DART passes and cards for charitable purposes, maintains the church's credit card. Conducts confidential background checks on employees and volunteers as required by church procedures and maintains records of the results in a secured file. Communicates with the congregation and the community regarding outreach needs, scheduling the church facility and other issues. Interacts with walk-ins requesting assistance from the church.